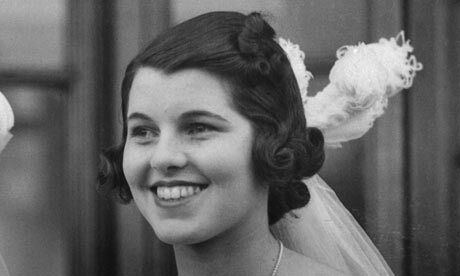 Today would have been Rosemary Kennedy's 98th birthday. In her honor, we are are featuring autistic writer Kate Ryan's review of the book Rosemary: The Hidden Kennedy Daughter, by Kate Clifford Larson. Growing up in the Boston area, I knew about the Kennedys. It seemed to me, as a child and an adult, that everyone knows about the Kennedys, and their big, boisterous Catholic family that would leave such an impact on Massachusetts and the world. About their political aspirations and horrific assassinations, about their charitable foundations, about their triumphs and tragedies. About Jack and Teddy and Eunice and Rose. Until recently, however, I have known very little about what is perhaps one of the saddest tragedies to come out of the Kennedy family: that of Rosemary Kennedy. A new biography by Kate Clifford Larson brings much-needed attention to this long-forgotten member, who had a huge impact on generations of Americans but who is still, today, not well known. This is a shame, for Rosemary deserves to be remembered. She deserves to be given the attention long denied her. Her life was lived in the shadows, but Larson’s book will hopefully enlighten people who have never heard of her, or of the importance of her legacy. Rosemary was born in September, 1918, at the height of the Spanish influenza epidemic. Although Larson is careful to never diagnose Rosemary, it seems clear by the accounts of her birth that she was deprived of oxygen and had brain damage. This was caused by her mother, Rose, being forcibly blocked from delivering the baby that was already in her birth canal until the doctor arrived. This most likely indicates that Rosemary had some sort of cerebral palsy, rather than a genetic condition. I have seen the rows of numbered graves at the Fernald cemetery. (A former institution outside Boston.) I have passed the red-brick institutions that once held my brethren against their will. I know all about the horrible conditions that disabled people were forced to live in, away from society and so-called ‘normal people.’ But I have never before stopped to consider what life was like for people with disabilities who were not institutionalized young, those whose parents had money and power and who were determined, above all else, to make their child normal. It is important to note here that Rose and Joe, Rosemary’s parents, were in all likelihood good people, kind people. However, they were also products of their time, a time in which disabled people were hidden because their family members were ashamed of them. Rose and Joe undoubtedly loved Rosemary, but they had absolutely no resources or references to deal with a disabled child. They seemed to operate from the idea that if they could just find the right program, just make Rosemary do this or that, then she would become non-disabled. However, this is not how the human body works, and so school after school, placement after placement, doctor after doctor failed to make Rosemary’s disability go away. If only it were that simple! But no matter how much money you throw at them, disabilities cannot be erased or overcome, they can only be dealt with. Rosemary had many strengths; she was very social, enjoyed being around people, liked learning, and above all, was very keen to please her family. This, too, resonates with me, and I feel such a well of sorrow and empathy for Rosemary. She tried so hard, but her efforts were seldom rewarded. Shuttled off to various schools and situations, she wrote desperate letters home to her parents, promising them that she would be good, that she would try to learn this or that, that she would lose weight (her mother was apparently obsessed with the fact that her children not be fat) and that she loved them so, so, so much. It is clear that Rosemary wanted, above all, to be accepted and loved, and the message she received from society and her parents was that if she could just work a bit harder, then she would be worthy of love. If only that were so! If only her family had the slightest idea that a disability was not something to be ashamed of. If only they had known about neurodiversity then. If only -- but there is no point in saying ‘if only.’ If only their money could do any good. Rosemary, for all of her parents' implicit and explicit rejection of her, lived a full, happy life for her first two decades. She traveled all over the world while her father was a diplomat in England, and later on found real joy and purpose at a Montessori school there. Unfortunately, the second world war (which started in Britain in 1939) interrupted her education, and she came home, undoubtedly depressed, anxious, and angry. Like many disabled people, Rosemary was very, very good at ‘passing’ as non-disabled, and there is no doubt in my mind that she would have been very frustrated at not being able to communicate the way that she wanted to. She became angry, chafed at the limitations imposed upon her. She was growing up, but her parents had no idea how to deal with this fact. Ultimately, her father took matters into his own hands, and this is where the life of Rosemary took a tragic turn. Her disability wasn’t a tragedy -- her family wasn’t a tragedy -- her life was not a tragedy -- but her lobotomy, an operation where a surgeon literally went into her brain and poked around with a stick -- this was the tragedy of Rosemary’s life. The operation took place in 1941. Rosemary lived until 2005, but she would never again be the lively, vivacious socialite who charmed the English press. She lost most of her ability to speak and, for a time, her ability to walk. She did not seem capable of doing many of the things she had previously been good at. Her personality was dampened. She was sent to live in an institution in Wisconsin, in a private cottage with around-the-clock care by nuns. With the exception of a few vacations, she would remain there the rest of her life. Larson worked from primary sources. She utilized never-before-seen letters and papers from the JFK library. She also pointed out that a lot of material, such as Rosemary’s medical records, are permanently sealed and so there are questions that will never be answered, especially about the lobotomy. One thing that she cleared up right away is that despite the fact that rumors say Rosemary only had learning disabilities, in fact, Rosemary had intellectual disabilities, or mental retardation, as they said at the time. (The R-word is used quite a bit in the book in quoting people of the past, but it is never used by Larson except in reference to the history.) Rosemary was never able to get beyond a fifth-grade level in writing and math, was very clumsy, and had a very hard time with basic executive functioning skills. Due to Larson’s reliance on facts, and her careful consideration to never extrapolate, it is hard to get a handle of exactly what Rosemary’s psyche was going through and how she felt at various times throughout her life. My guesses of her despair are really only conjectures based on my feelings in similar situations. It is a good book, but for all that it is about a disabled woman, there is little background about disabilities and disabled women in history. It is strictly biographical, telling the story of one woman alone, but I think for the sake of non-disabled readers that a little bit of disabled people’s history could have been also told. It is apparent that Rosemary was pushed in with non-disabled peers again and again, and I could not figure out if she was ever to experience the wonderful community that exists when a group of disabled people come together. Institutionalization and isolation may be terrible things, but discovering that I was not the only person with my experiences was an amazing feeling for me, and I hope that Rosemary got to experience this too, at least a little bit. The first two-thirds of the book are devoted to the first quarter of Rosemary’s life, and indeed, it seems as if Rosemary did most of her actual living before her lobotomy. It was likely never explained to her what the operation was for or why she was suddenly unable to do so many things, but she would have gone into the operation cheerfully enough simply because she wanted to please Joe so badly. Cloistered in Wisconsin, Rosemary enjoyed swimming, walking, trips to downtown, and other small delights, but she would never travel again except to the family compounds in Florida and Hyannis, Cape Cod, Massachusetts. She would never meet kings and queens or the pope again. Was she happy after her lobotomy? There is very little evidence to say that she was or she wasn’t. Yet ... The Kennedy Day School for special needs children in Brighton, Massachusetts, was founded and funded because of Rosemary. The Special Olympics, an organization that gives great joy and a sense of achievement to people of all abilities, was founded by her sister Eunice, who remembered how much Rosemary enjoyed playing outdoors and doing sports. Best Buddies, International, and the Eunice K. Shriver Center -- a disability think tank in Boston -- can also be directly attributed to Rosemary. These institutions, which do so much good for so many people, are not just the Kennedy family’s legacy. It is these things that Rosemary should be remembered for. She ensured that the Kennedy name would be forever associated with disabled people. Her younger brother, Teddy, would be one of the architects and strong proponents of civil rights laws for people with disabilities, including the Individuals with Education Act (IDEA) and the Americans with Disabilities Act (ADA). When you see a wheelchair ramp, think of Rosemary. When you see a child in an inclusion class, think of Rosemary. When you read this, an article written by a person with a developmental disability, think of Rosemary. These are her legacies, this is what she leaves behind.